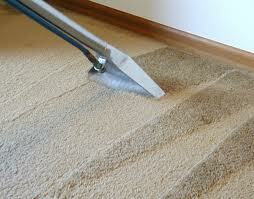 Here are some great articles on carpet cleaning in the elwood area. Carpet Cleaning Elwood - Have You Got Dust Mites in Your Mattress? Were you aware that there are thousands if not millions of dust mites sleeping with you in your bed every night? Dust mites feed on our dead skin cells that we shed every day mainly when we sleep. This is due to a nasty little allergen called DER P1. This can cause allergic reactions such as eczema right through to respiratory problems. Although sunlight is great for killing the mites, it isn't the only solution to killing dust mites. The problem is, if you will leave your rugs and carpeting in the sun for a few hours, it will only kill the dust mites. However, you're still stuck with the waste that’s left behind in your carpeting and rugs. This is what will trigger an allergic reaction. As the dust mite’s allergen is soluble, this can be washed away with either a normal washing machine cycle or with the high powered machines that carpet steam cleaners use for cleaning mattresses and carpet. Either way, the hotter the water (that’s used during the wash process), the better! So although sun light does kill dust mites and is an important process in the cleaning stage, it doesn't take care of the whole problem. It's not only about getting rid of the dust mites but also about getting rid of the waste that they leave behind. That's what causes allergic reactions. Now according to some experts dust mites only really can cause problems for those who are allergic to them. So if you're one of those unfortunate people who have an allergic reaction to dust mites, you may want to look at ways of cleaning mattresses, pillows and upholstered furniture. The best way to do that by far is to have them professionally cleaned by a carpet cleaning business. They use high-powered machines along with hot water and special chemicals to remove the deep down allergens that cause havoc to you and your family. The cheaper alternative is to take your mattresses outside and give it good hose down and wash them thoroughly with soap. Just be prepared that you have to allow for a minimum of 12 hours dry time. This can be a major hassle to some people however those on a tight budget this could be best option for you. To have a mattress professionally steam cleaned by most carpet cleaning companies they generally start around the $50 mark (our carpet cleaning Elwood team charge around $70) and go up from there depending on the size of the mattress. I’m Moving Out of My Elwood Property – Do I Need to Get My Carpets Steam Cleaned? I get asked this question time and time again is it necessary for tenants to have the carpets steam cleaned when they vacate. And believe it or not there is no law that can enforce this. Obviously the tenant has a responsibility to take care of the property and also has the responsibility to try and keep it clean, taking into account normal living circumstances. It's fairly easy for most tenants to uphold this by giving the property a regular clean whether it be vacuuming or trying to clean up carpet spills when they happen. This falls under ‘normal incidents of living’. It's completely up to the tenant to have the carpets steam cleaned during their tenancy as there is no law to enforce this. For example, if they have spill on the carpets they are under no obligation to have the carpets steam cleaned until they come to the end of their lease. When you move out you have to hand the property back in a clean state. And by that the landlord can’t expect you to hand back the property in the same state as when you moved in. If the tenant has done their best to keep the property clean and attended to any carpet spills when they happened then in the eyes of the law they've done their best to comply with the legislation. A lot of the time when property managers draw up a lease agreement they always add a clause to have the property steam cleaned upon vacating. Now by law if this isn't in your contract you don't actually have to you have the carpets steam cleaned. And if it is then the landlord or the agent has to provide a receipt or show proof that they have had the carpetsprofessionally cleaned prior to you moving in. Another important factor is you don't have to you steam clean carpets to fix any problems that you didn’t cause or weren’t responsible for. For example; if there was a burst water main or a leaky roof which caused some water damage to the carpets than it’s the landlord’s responsibility to pay to have the carpets cleaned. If you’ve been advised by the agent that the landlord is going to demolish the property or renovate/replace the carpets make sure you get that in writing so you don't have to fork out for a carpet cleaning bill. Having the carpets cleaned in this circumstance isn't going to benefit the landlord whatsoever. Great news Vanda cleaning services are now expanding into Elwood. That professional service that you’ve come to know and trust is now offering their carpet cleaning services to the residents of Elwood. Not only that, if you mention this press release you will receive a further 20% off the quoted price. Vanda cleaning services have been in the game of professional carpet cleaning for over five years and have a huge database of happy and loyal customers that are more than willing to refer family and friends. Our carpet cleaners in Elwood use the best techniques in the marketplace utilizing high powered hot water extraction to remove stubborn stains and getting carpets looking new again. No other company in Melbourne specialises in end of lease cleaning and carpet cleaning like Vanda cleaning services. Elwood is a beautiful little suburb on the edge of the vibrant and bohemian suburb of St Kilda, Melbourne. With a vast amount of period homes and apartments plus the high turnover of tenants moving in and out, Vanda cleaning services are now expanding to surrounding suburbs. With the huge success of our carpet cleaning in St Kilda we thought it was only right to offer our business to the Elwood residents and plus we love dealing with the locals. As Elwood used in the swampy marsh area it quite common for us to find rising damp and mould in properties especially at the end of the lease. Mould on carpets can be a huge problem not only for the carpet but for your health. We use a special treatment to help stop the mould at the source.